What brought you to Abbey Road Institute? I’m from Brazil originally and I had been looking to do a course abroad in sound engineering since about 2004. I first started looking when I was much younger and thought maybe it wasn’t the right time, so I stayed in Brazil. I did a degree in Journalism there, but I was also in an artistic collective with some friends. People working in video and classic arts, and everyone was a musician. After 10 years of doing this, I felt it was time to go abroad and expand my knowledge. When I found out that Abbey Road Institute existed, I was quite curious; Abbey Road Studios has historic significance in music and culture in general. It’s massive. I started to do some more research and got in touch with Hannah. The course was still very new. Did you feel like it was a risk trying a new course? Well, it’s hard to beat being connected to Abbey Road Studios, but I also researched who was teaching, what was the curriculum all about, and sent a lot of emails. I was really interested in audio for film as well. To be honest, when Hannah told me that sound for film was in the curriculum, that’s when I decided to come here. What were your goals initially? I never intended to become an artist. I like to compose and I like to perform, but I came here just to increase my knowledge of audio engineering, and to be recognised as a professional. I had taken a few short courses, but there’s a difference between doing random courses and doing a whole year of intensive study. So I was interested in improving my skills to get better results in the future with partners, artists, clients, directors…anybody I might work with. Nowadays, anyone who has a computer at home can watch some YouTube videos and learn to produce, and that’s awesome. But it’s different when you’re fully immersed in it for a whole year, studying it with amazing people that have been in the business and have done a lot of work. That’s the amazing thing about being here. You produce, practice, and show your work to professionals who give us feedback from which we can improve. This interaction we have here is really amazing. It makes all the difference. How did you end up connecting with Youth? If it wasn’t for Carlos inviting Youth as a guest lecturer, I would’ve never met him. When I found out Youth was coming, I was excited. I already knew some of his work going back 10 years now. I really wanted to be able to show him my music. I just wanted to be able to show someone whose work I admire some work that I’ve done. Just to listen to it. I wasn’t able to give him anything during the lecture, but that same day I contacted Carlos. I told him I had an album that I had produced and explained why I wanted to show Youth: I knew his work and really admired what he did. Carlos managed to forward my email to him. I didn’t expect anything, to be quite honest. A few weeks later I received an email; he said he wanted to meet with me to talk about a possible release. What happened after that initial email? I met him at his studio and we listened to the album together. One thing that came across in this meeting was that the album 28 minutes, and for it to be released as an album it needs to have at least 40 minutes of music. I knew I had to write more songs, so I recorded two tracks in our studios here. I got in touch with musicians from the Royal College of Music, the Guildhall School of Music and Drama and the Royal Academy of Music. I had a lot of help from Natalia Milanesi as well, another Abbey Road Institute alumnus. She helped me compose and record the two tracks. 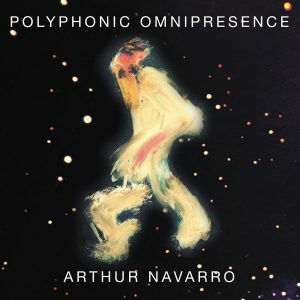 How would you describe Polyphonic Omnipresence? The concept of the album is an anthropological and tribal voyage. It’s about territory. I intended to mix the sounds of many cultures that I appreciate and like; native Brazilian, Indian, classical European. I wanted to achieve a global sound, mixing Western and Eastern music. I quite like the idea of mixing those influences together because when the Portuguese first came to Brazil, it was to find a new route to India. That’s how they ‘discovered’ Brazil, so there’s a personal connection for me as well. Yes. He has lots of labels for different genres of music. I was signed to the global beats label Suriya Recordings. ‘Suriya’ means ‘sun’ in Sanskrit. It’s a new label; he started it in 2017 but they’ve already got several releases. Did you do any other work on the album while you were studying? When I started at Abbey Road Institute, I had already recorded the album. After realising I needed to add more tracks, I thought maybe this was a good opportunity to re-mix the whole album. Studying here, your ears get more sensitive. We learn how to listen to music differently and to have different critical perspectives on it. Naturally, we’ve had practical lessons on everything, so our skills improve: recording, editing and mixing. I listened to the album and thought “Man, no… I won’t release this” (laughs). All told I mixed everything at Abbey Road Institute and recorded two tracks here. If I hadn’t chosen to come here to study, this opportunity wouldn’t have happened. Maybe one day, if the universe was very kind to me, but it shortened the path being able to meet people that are already in this industry.